Zimbabwe is targeting to improve its ease of doing business ranking to below 100 as it puts more efforts on reforms that should enhance the business environment. This will complement the “Zimbabwe is Open for Business” agenda. Currently Zimbabwe is number 155 on the World Bank’s Ease of Doing Business rankings, a significant improvement from 2015 when it was ranked 171 out of 190 economies. According to the World Bank, economies are ranked on their ease of doing business, from 1–190. A high ease of doing business ranking means the regulatory environment is more conducive to the starting and operation of a local firm. These rankings are determined by sorting the aggregate scores on 10 topics, each consisting of several indicators, giving equal weight to each topic. Senior principal director, in the Office of the President and Cabinet Solomon Mhlanga, said Government was working towards more reforms to improve the business environment. For the 2020 ranking, Mr Mhlanga said the various thematic groups working on different areas that need reforming to improve the operating environment would start work in earnest on May 01, 2019. By April next year, the thematic groups should have registered massive progress in reforms, which in turn should help in improving the business environment and also the country’s ranking. “We want to be below 100,” he said in an interview on the sidelines of a World Bank Doing Business Reforms meeting in Harare yesterday. we should be there close,” he said. Mr Mhlanga highlighted Government was also going to work on other problematic areas apart from the World Bank’s doing business indicators in order to overhaul the business environment to be more favourable to businesses. In light of this, businesses were therefore welcome to discuss their suggestions with Government as part of efforts to improve the operating environment. The thematic teams currently working on various areas experienced delays due to the harmonised elections held last year in July. “We started late in terms of putting up the technical groups to work on their specific areas, as the new Government was coming in July. “Going forward, there are other points where businesses have issues with Government and we are encouraging business associations to come forward with particular areas they want attended to. Government is open for discussion with businesses, we should work together in instances they think the laws are too stringent or costs are too high,” he said. Doing business indicators focus on regulations relevant to the life cycle of a small to medium sized business, in the formal sector and are measured for the largest business city in each economy. 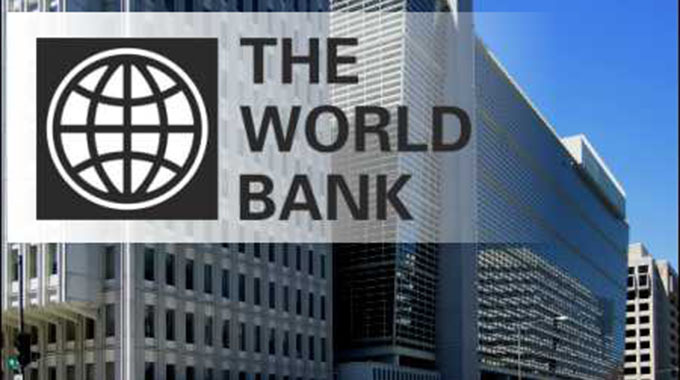 World Bank country coach on ease of doing business Eric Zinyengere, said while Zimbabwe was making progress on reforms, more still needed to be done to speed up the process and catch up with others. Outpacing other countries in reforms would see the country improve its rankings on ease of doing business. Different thematic groups on property registration, getting electricity, getting credit, contract enforcement and trading across borders recorded progress in reforms, but at a slower pace than required to create a significant turnaround in rankings. Policy intervention: Is there a new dawn in Zimbabwe?